Blu-ray Review | "Buster Keaton: The Short Films Collection"
When it comes to classic comedy, no one stands above Buster Keaton. 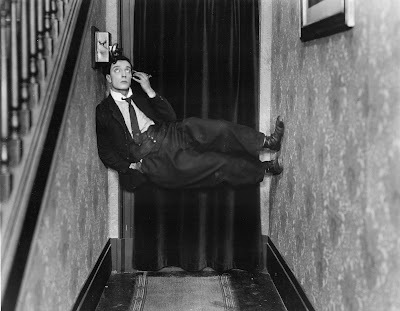 Keaton, along with Charlie Chaplin and Harold Lloyd make up the titans of silent era comedy, and while Chaplin's Little Tramp character is probably the most famous comedic icon to emerge from the silent era, Keaton was arguably the more innovative (and subversive) artist. A protege of Roscoe "Fatty" Arbuckle, Buster Keaton took over Arbuckle's film production company after Arbuckle transitioned to making feature films in 1920, signing a contract to direct and star in 20 two-reel short films. Keaton only made 19 of the 20 shorts before moving into feature films himself in 1924 with The Navigator, and it's easy to see that Keaton's ideas were bursting at the seams of the two-reel format by 1923 when the last film was released (that film, The Love Nest, was the only short for which Keaton received sole writing and directing credit). Buster Keaton in THE GOAT. Courtesy of Kino International. Now, for the first time, all 19 of Keaton's solo shorts are available on DVD and Blu-ray in one three disc set from Kino International. 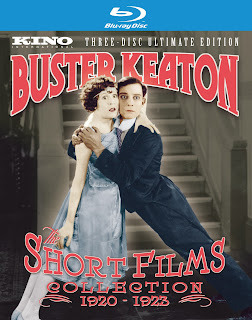 It's arguably the most comprehensive and lavish release of Keaton's work to date, featuring informative visual essays detailing the history of selected films, as well as detailed liner notes by Keaton biographer Jeffrey Vance, which provides a brief back story of each film, deepening the viewer's appreciation for then prior to viewing. Kino has really outdone themselves here, providing not only digital restorations of some of Keaton's best films, but also preserving the integrity of the films, using the best materials available. While HD might not be necessary on films that are this degraded by time, some of the transfers are truly stunning. 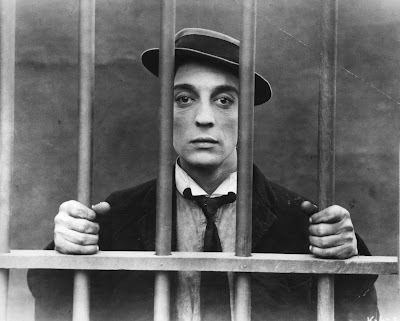 Keaton's catelogue is one of the most complete of the silent era, but some of the shorts do feature missing footage, most notably 1922's Day Dreams (which was co-directed by Arbuckle, right before his third manslaughter trial came to an end), and 1921's Hard Luck, which barely survives at all. Hard Luck may be a minor entry in Keaton's canon (made even more so by its severely downgraded condition), but Keaton himself considered it his favorite, because it contained the biggest laugh of his career. Sadly, that scene no longer survives, and is presented here simply as a photograph with a caption describing the action. There are some real jewels here, however. One Week, which was his first solo short to be commercially released (The "High Sign" was actually the first produced, but Keaton delayed its release because he felt it was too similar to Arbuckle's style rather than his own), is a comedic masterpiece, showcasing Keaton's prowess for outrageous set pieces - in this case a house that he attempts to build using out of order directions, resulting in a bizarre madhouse that foreshadows some visual gags that he would later reuse in some of his more famous features. Buster Keaton in THE ELECTRIC HOUSE. Courtesy of Kino International. The trick photography of 1921's The Play House is still pretty impressive today, as the showpiece of the film is a dream sequence in which Keaton plays a hapless stage hand at an opera house who imagines that he is every member of the cast, audience, and orchestra. He also showed a surprising penchant for dark comedy, most notably in 1922's The Frozen North, which was conceived as a spoof of Western melodramas that were in vogue as a result of a national fascination with Alaska and the Klondike. While it is works almost as well as an action/adventure film as it does a comedy, it was made right in the middle of the infamous Fatty Arbuckle murder trial that rocked Hollywood. Keaton, who was one of Arbuckle's closest friends, clearly took his dark mood out on the film (watch for satirical jabs at Western star William S. Hart and director Erich von Stroheim, who would later co-star in the pitch-black silent era satire, Sunset Boulevard, in which Keaton makes a cameo appearance). It does, however, contain perhaps my favorite moment from any of Keaton's shorts, as Keaton catches his wife cheating with another man and guns them both down, only to casually realize it is neither his house nor his wife. Not all of them are winners, however. Despite Keaton's mastery, the speed at which these films were made results in a few duds. Besides the aforementioned Hard Luck, Keaton seems to be coasting in films like The Haunted House and The Scarecrow. But those early misfires still contain moments of comedic inspiration, and eventually give way to Keaton's flourishing talent, which continues to grow as the shorts progress. By the time we enter the sets third disc, Keaton is in full bloom, crafting ever grander set pieces (on increasingly ambitious outdoor locations), clearly ready to shake of the confines of the two-reeler and transition into feature length filmmaking. The 19 Keaton shorts (which span from 1920 to 1923), represent a fascinating body of work, and a rare chance to witness the complete evolution of not only a great silent era artist, but a great artist, period. 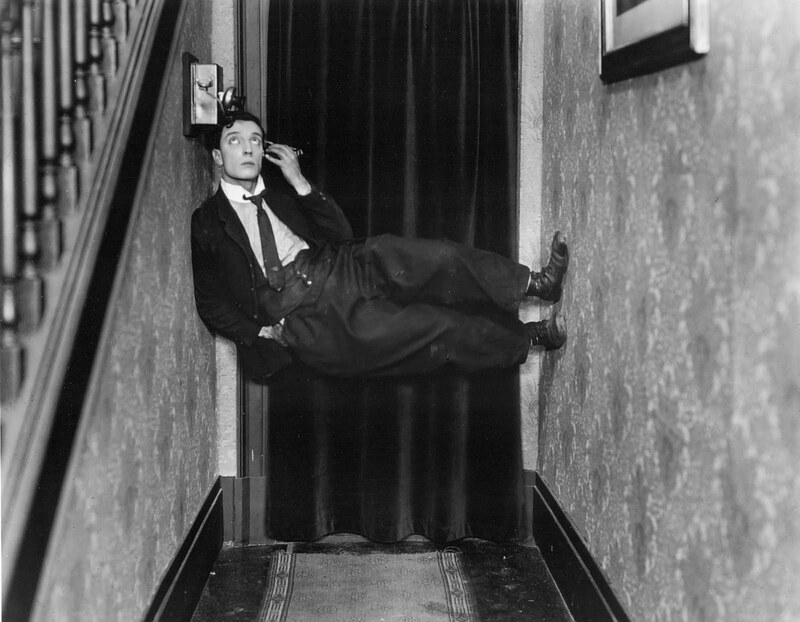 Keaton's influence has radiated through the generations, from Jacques Tati to Mr. Bean (check out 1922's The Blacksmith for a hilarious precursor to Rowan Atkinson's bumbling doofus), and Buster Keaton: The Short Films Collection is an essential addition to any serious cinephile's shelf, or for that matter, any fan of great comedy. Because when it comes to comedy, it just doesn't get any better than this. Films included in this set - The "High Sign" (1921, ★★★), One Week (1920, ★★★★), Convict 13 (1920, ★★★), The Scarecrow (1920, ★★½), Neighbors (1921, ★★★½), The Haunted House (1921, ★★), Hard Luck (1921, ★★), The Goat (1921, ★★★), The Play House (1921, ★★★★), The Boat (1921, ★★★½), The Paleface (1922, ★★★½), Cops (1922, ★★★½), My Wife's Relations (1922, ★★½), The Blacksmith (1922, ★★★), The Frozen North (1922, ★★★), Day Dreams (1922, ★★★), The Electric House (1922, ★★★½), The Balloonatic (1923, ★★★), The Love Nest (1923, ★★½). Buster Keaton: The Short Films Collection will be released on DVD and Blu-ray on Tuesday, July 12. George Lucas Strikes Back in "Red Tails"
Review | "Page One: Inside the New York Times"
Mini Review | "The Trip"
Beware "The Ides of March"
On "Captain America: The First Avenger"
On "Harry Potter and the Deathly Hallows: Part 2"
Trailer 3: "Rise of the Planet of the Apes"
Teaser Trailer: "The Dark Knight Rises"
Review | "The Woman with the Five Elephants"
Blu-ray Review | "Beauty and the Beast"
Trailer: "Sherlock Holmes: A Game of Shadows"
More Dwarves Appear from "The Hobbit"
Review | "General Orders No. 9"
Teaser Trailer: "The Iron Lady"
On "Transformers: Dark of the Moon"
Blu-ray Review | "The Sacrifice"